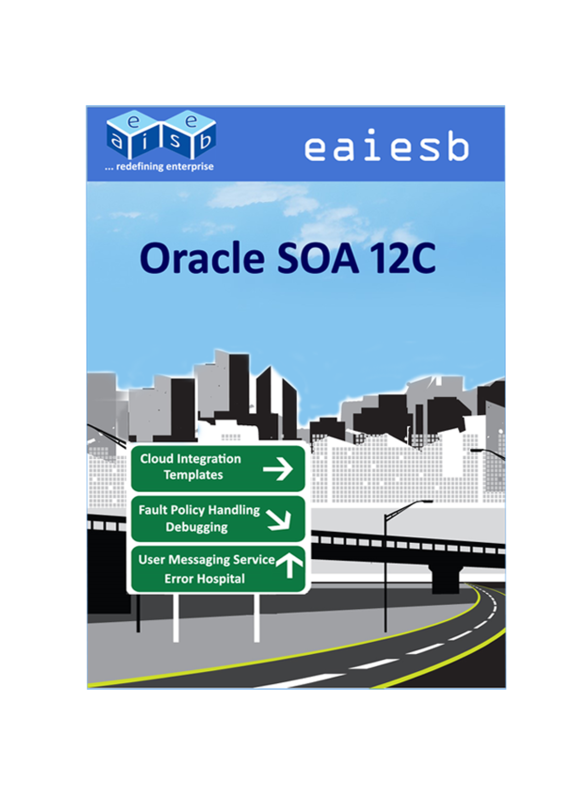 EAIESB has officially launching SOA 12c hands on tutorial, this is mainly intended for basic users who don't have enough background knowledge on SOA Suite earlier. This tutorial explains step by step instructions to learn and provides good exposure to understand in detail about SOA12c. Includes new features like Debugging, Templates, Technology Adapters, UMS and many more and explained in detailed in each chapter, both design and runtime. 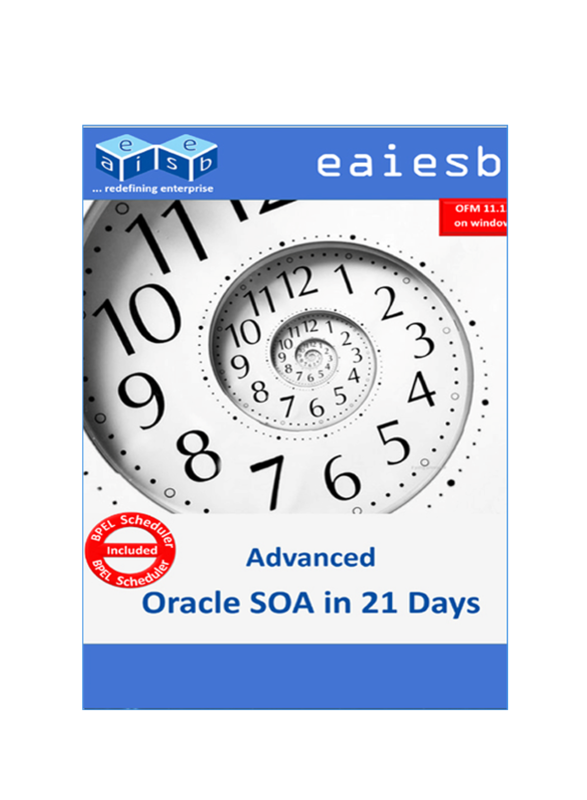 EAIESB Oracle Advanced SOA in 21 Days provides Developers, with step by step instructions to learn and use Oracle Fusion SOA advanced topic like PICK, FLOWN, Custom XPath, Event Handling, Sensors, Fault Handling Framework, Compensation Handling, Clustering, Deployment with config plans. 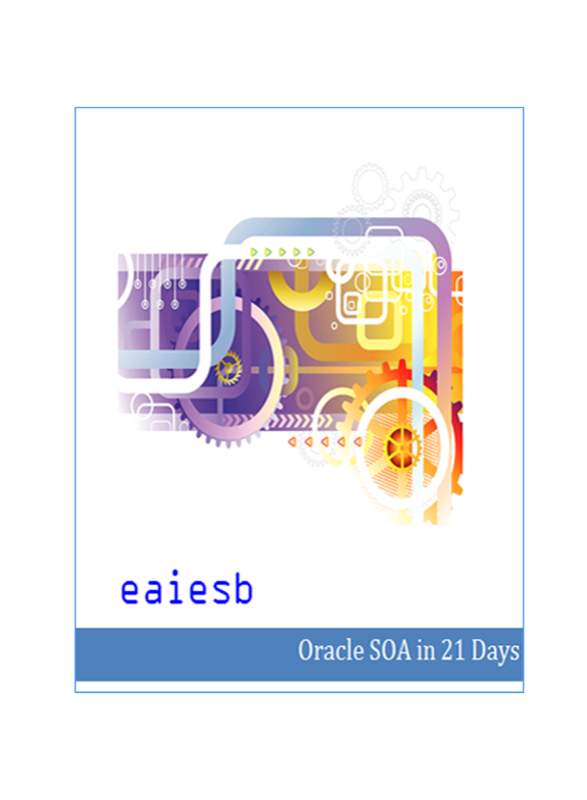 EAIESB Oracle SOA in 21 Days provides developers, with step by step instructions to learn and use Oracle Fusion SOA components like (File, FTP, Database, JMS, AQ and Email Adapters), Rules Engine, Human Work Flow concepts.